I am trying to find some information about a 35 year drag racing reunion not the 50th reunion. I have copies of two pages out of something, I was wondering if you know what they are from. Page 12 shows and talks about Ericson and Willard, Action Joe and Kansas badman Ted Detar, page 13 has an article about Drag World Bash, Chuck Grimsley and Ericson wreck at Wichita Drag Strip. At the top of both pages it says 35 year reunion. I think it was 1998, I would like to get in touch with the one that did the program or get a copy. 2001 was the beginning & end of Junie Donlavey racing. #90 driver Hut Stricklin/Junie Donlavey racing/sponsor Hills Brothers Coffee did not qualify in 8 races? How come? There was serious talking of #90 driver Hut Stricklin/Junie Donlavey racing/sponsor Hills Brothers Coffee moving to Charlotte,N.C. area with other big NASCAR Cup race teams are located. #90 car owner Junie Donlavey didn't want to moved his #90 race team/race shop from Richmond,Va. He wanted to stayed near his family and friends in Richmond,Va. Junie said,"NO" to moving his #90 race team/race shop to North Carolina. Note:Junie Donlavey's #91 with driver Rick Mast do not qualify for this race. Junie Donlavey should be in NASCAR Hall of Fame. Junie Donlavey's old race shop should be made into race museum, have historic bldg status, and an historic road sign listed it's auto racing history. Can anyone tell me if they have any Key West Stock Island Speedway photos? My father ( John Gendron) used to own this track when we were living in Key West, Fla from 1955 to 1970. I've been trying to find photos from my childhood for years. Here's some more information. Might try old newspaper archives located near the Stock Island Speedway, Florida area. The only African-American driver to win a Cup race-Wendell Scott's 1972 uniform and helmet. There's a NASCAR OF FAME photo of Wendell Scott display case that has his race uniform with words "Cammack-Alston Racing Assoc. Inc. or "Commack-Alston Racing Assoc. Inc." on it. Does anyone heard of "Cammack-Alston Racing Assoc. Inc. or "Commack-Alston Racing Assoc. Inc." ? Wendell Scott raced for car owner Len Cammack in the in IMSA GT competition during 1975 season? Don't know the Alston connection in the Cammack-Alston Racing Assoc. Inc. 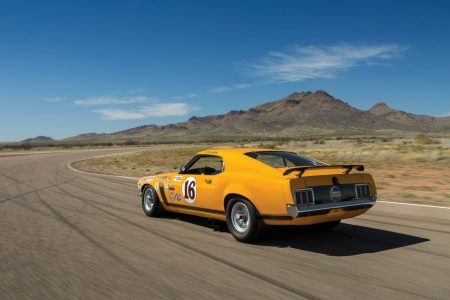 The second Boss 302 Trans Am from the Jim Click Collection is a 1970 model, though it’s identified as chassis 3-1971. One of four body-in-white cars shipped to the Bud Moore team by Kar Kraft for 1971, 3-1971 was prepared as a backup car for drivers George Follmer, Peter Gregg and Parnelli Jones, but never saw action during the season. Ford’s withdrawal of corporate sponsorship for 1971 left the team scrambling for funding, and at the end of the 1971 season, sister cars 1-1971 and 2-1971 were sold off. 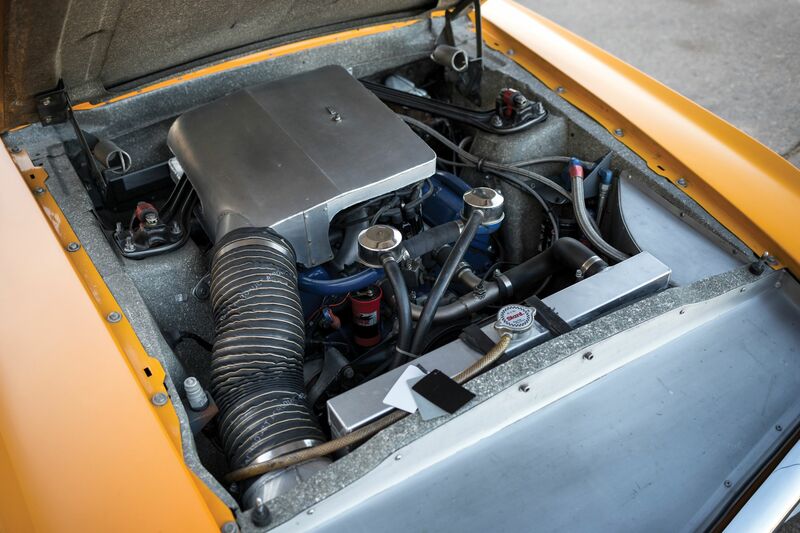 The car offered here, 3-1971, was sold to Morris Davis at the start of the 1972 season, fitted with a 351 V-8 instead of the 302 V-8 used in the Trans Am series. It’s not clear if the car was raced by Davis in 1972, but in 1973 he hired Dan Daughtry to drive the Mustang in the Paul Revere 250, an IMSA race at Daytona International Speedway. Though scored in 36th place, Daughtry did not finish the event, retiring after 28 laps. Later in 1973, Davis sold 3-1971 to Len Cammack, a New Jersey resident who enlisted the help of Wendell Scott in driving the car. Best known for breaking the color barrier in NASCAR, and later, for becoming the first African-American driver to win a Grand National Series race, Scott also ran in IMSA GT competition. As Cammack’s driver, Scott campaigned the 1975 season as the team’s budget allowed, finishing as high as 15th place at Road Atlanta in the season-opening IMSA GTO race and duplicating the result at Talladega in August. In between, Scott delivered a 20th-place finish, an 18th-place finish and a DNF, but the performance was more a reflection of the team’s limited finances (and by then, outdated race car) than of the 54-year-old Scott’s talent. At the end of the year, 3-1971 was parked at Scott’s shop in Danville, Virginia, where it would remain for nearly a decade. In 1984, 3-1971 was purchased by Mike Durham, who recognized the car as one of the body-in-white Mustangs delivered to Bud Moore for the 1971 season. 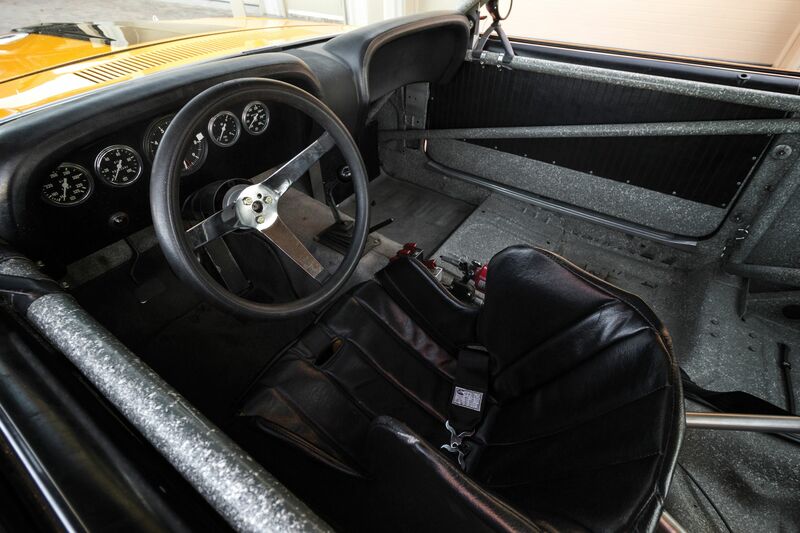 A restoration was started, but prior to its completion the car was sold to Mark Hereford in 1988. 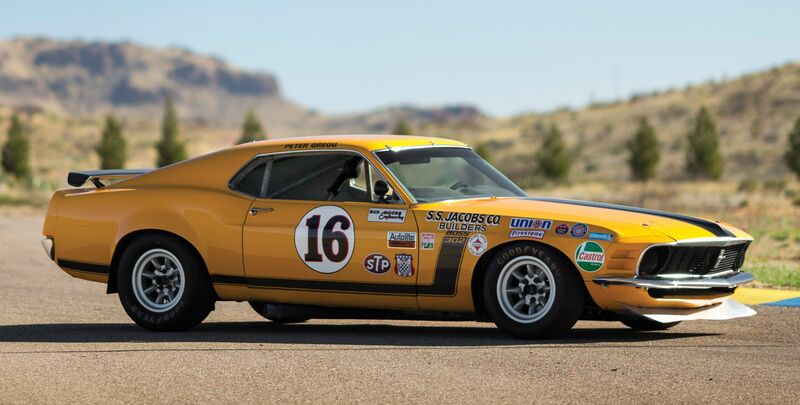 By 1991, the restoration to a 1971 Bud Moore team livery was complete, and 3-1971 achieved a perfect score in three SCCA concours events. Raced occasionally in vintage events, the Mustang passed through two more owners before being acquired by Jim Click a few years ago, and 3-1971 returned to the track for the 2015 Monterey Historics, where it finished first in the Trans Am class. hi, can anyone tell me if Dale Earnhardt drove the #88 late model sportsman nova that was Robert Gee's?